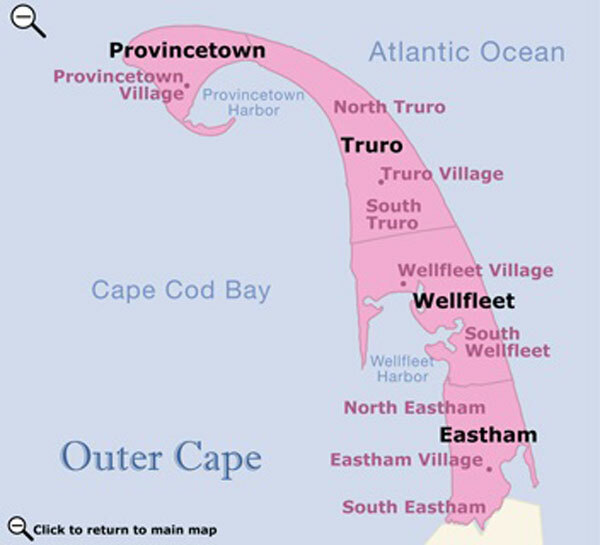 Wellfleet is a charming fishing town that is only two miles wide. It is bounded by spectacular beaches, towering dunes, and the roaring surf of the Atlantic Ocean to the east and the tranquil waters of Cape Cod Bay to the west. The Cape Cod National Seashore encompasses the entire ocean side of Wellfleet. Wellfleet Harbor is home to fishing boats, yachts, trawlers, and flats of clams, oysters, and quahogs at low tide. Wellfleet Pier is busy with fishing boats, sailboats, yachts, and charters. Seasonal visitors may buy a recreational shellfish permit that during the summer months allows shellfishing twice a week in a special designated area. 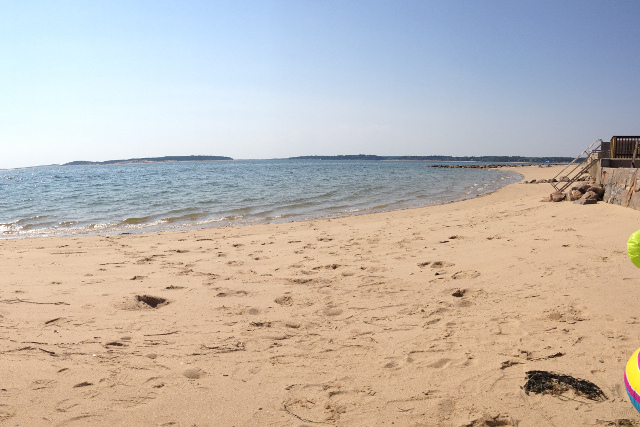 Wellfleet Bay Wildlife Sanctuary encompasses 650 acres of pines, moors, and salt marsh. The Mass. Audubon Society offers wildlife tours of the sanctuary, as well as numerous nature programs for adults and children. Great Island is actually a peninsula connected by a sand spit. Visitors are treated to more than seven miles of trails along the beautiful bay, dunes, and inner marshes. Quaint galleries, bookstores, and gift shops in weather-shingled old houses line the main streets of Wellfleet. Wellfleet's natural beauty makes it an artist's paradise. On Saturday evenings in summer, the art galleries host receptions to celebrate show openings. Visitors stroll from gallery to gallery meeting featured artists.